Ooh! Virago reprints of Beryl. May have to get those to add to my collection. I'll add your review to my Reading Beryl page too. Of all the BB books I read last year, this was the one I warmed to least - maybe because it seems just too close to (her) real life, lacking the horror of Harriet Said, or the black humour of the few that follow it. That said, I'm glad you enjoyed it and hope you may want to read more BB. I know, they seem to have been released very quietly, 2 in December, 2 this month. I bought 'Harriet Said' at the weekend and have 'Sweet William' as well so lots of treats in store. In view of your opinion I'm pleased I started with his one, coming to it cold I found it a really powerful little book - I like how stripped down and stark it felt. I hadn't read any Bainbridge until last year when one of my reading groups picked 'The Bottle Factory Outing'. It's definitely one I would recommend. 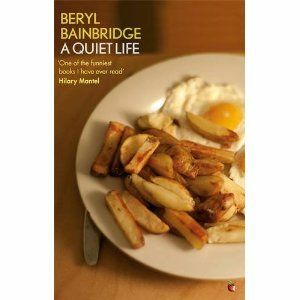 I didn't realise Virago were reprinting Bainbridge either, it'll be good to see new readers find her. I was surprised when I took part in the reading week last year that so many people hadn't read her. Moment of shame on my part that I had never read her before. The later books really don't appeal to me that much at the moment - though I suspect the more I read of her the more I'll want to read - and because of that I'd never really explored further back. It does show how quickly books can disappear from notice though.